Italy, Land Of Pizza And Pasta, Is Gluten-Free Friendly : The Salt Only 1 percent of Italians have celiac disease, similar to the rest of the world. But since gluten is everywhere, there's high public awareness about it and more than 4,000 gluten-free eateries. Gluten is everywhere you look in Italy. Here, fresh ravioli at the historic shop "Gatti & Antonelli" in Rome in 2014. The menu reads like a gluten minefield: linguine, penne, macaroni. But just when we fear Filippo is doomed to dine on pea soup, dinner is saved. The waiter comes by to tell him the food is gluten-free. Tulipano Nero is one of nearly 4,000 gluten-free restaurants officially recognized by the Italian Celiac Association (AIC). There's a great deal of public awareness in Italy about celiac disease. 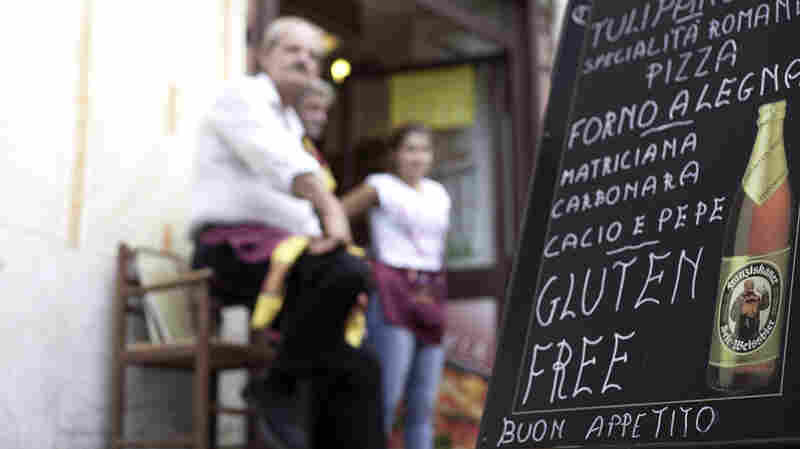 The Italian government offers celiac patients vouchers to buy gluten-free food — up to 140 euros per month. Dr. Marco Silano, who chairs the scientific board of the Italian Celiac Association, explains why gluten is so central to Italian cooking. "In fact, gluten is like a dietary glue that makes pasta very good because gluten has the properties to make bread good to catch — in Italy we say to catch — the sauce in the plate, or pasta to have the sauce," he says. It's not that there's a greater prevalence of celiac disease — 1 percent of Italians have it, on par with the rest of the world. Rather, it's that gluten is everywhere you look. And in a country where the dinner table is at the center of social life, not being able to enjoy gluten is like having a beach allergy in Hawaii. "Maybe this is the reason the gluten-free market and the gluten-free products in Italy are so large," Silano says. "There is no city or town where there aren't gluten-free restaurants." Il Tulipano Nero is one of nearly 4,000 gluten-free restaurants in Italy that the Italian Celiac Association has recognized. Filippo's dad, Paul Virgo, says this means his son can eat whatever everyone else is eating and doesn't feel left out. "I think that the fact that people are very food-aware does make your life a bit easier," Virgo says. "You wouldn't expect the land of pasta and pizza to be so welcoming, but it is, actually. In many ways, it's a good place to be." 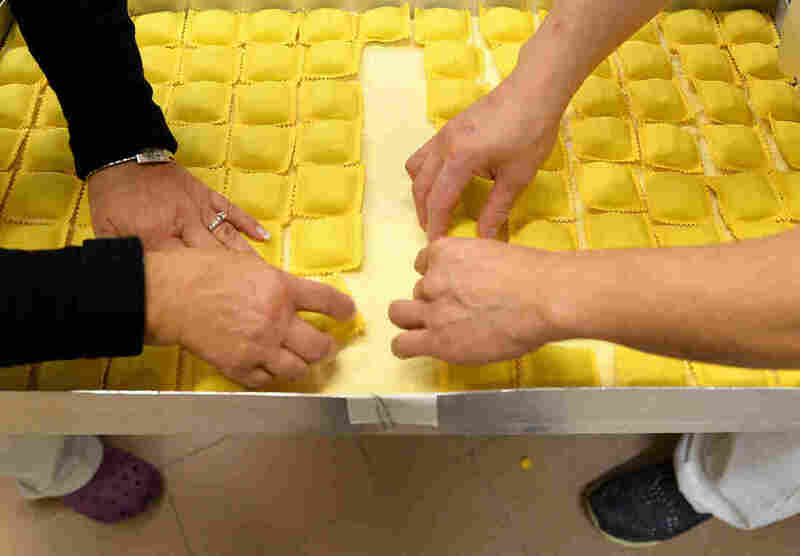 The audio for this story, as did a previous Web version, incorrectly states that the Italian government allows people with celiac disease to take extra time off work to prepare gluten-free food and that Italian children are routinely tested for celiac disease. Neither is the case.